Cultural diversity is integral part of life in India. In cities like Gurugram and Delhi, almost every language and culture has carved its niche. On one hand, we have heritage monuments which are historical and cultural masterpieces. Examples are Red Fort, Taj Mahal, Udaipur, Jaipur etc. On the other hand, we see technology and science deeply connected with them, for example – Jantar Mantar. 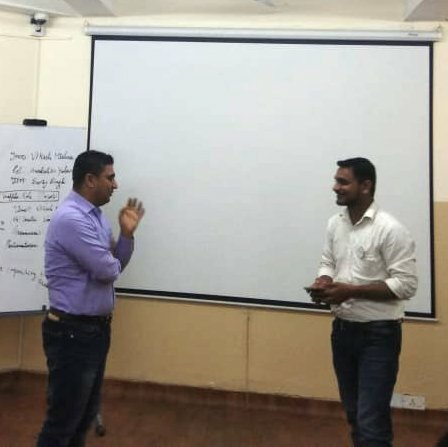 It was on discussion during the table topic section in the meeting held on 26th August 2018. This day was also celebrated as Raksha Bandhan all over the country. Audience was eager and enthusiastic for the topics to be discussed. 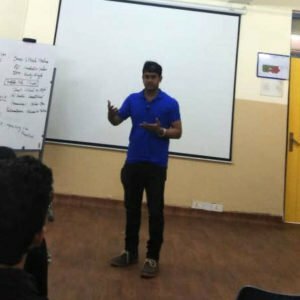 Toastmaster Suraj came up with interesting and refreshing puzzling ideas. 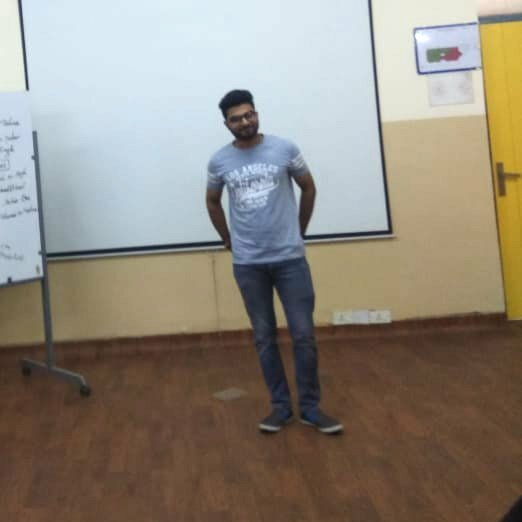 Tell us about your experience of watching memorable advertisement in your local language: Toastmaster Sourabh shared his experience of telecom network advertisement in local language of Ranchi in which a pug always follows a boy wherever he goes. It was really funny to read that. Tell us about the most popular dish of your native place: Toastmaster Aman spoke about his native place. His family belongs to Rajasthan. 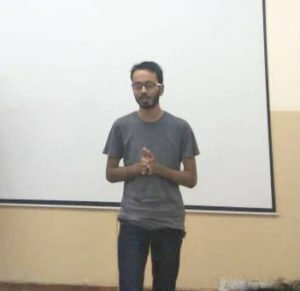 He told the audience that a dish called Dal Wati Churma is liked by everyone in his native place. The smell of ghee in Dal Wati makes the mouth watery. He also knows how to prepare it and promised to present it at a party. 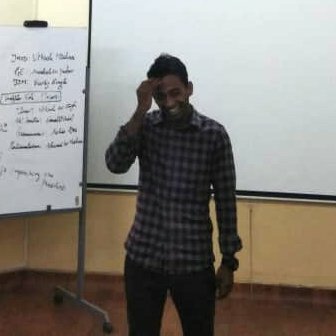 Tell us how you will propose to a girl who does not know your language: Toastmaster Sudhir thought for a while and found this topic unrealistic. He shared similar experience during his college days about proposing to a girl in his local language. He shared his ideas about culture and manner to be followed for these personal feelings. 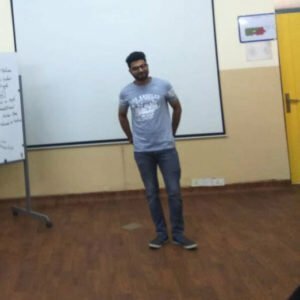 What if your crush likes your Rakhi: Toastmaster Abhishek expressed his feelings very carefully and in a crafted manner. He told the importance of Rakhi to her. 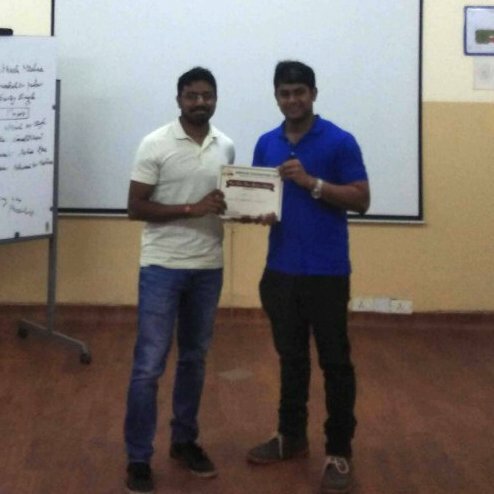 Give us a reason why you prefer a dhoti on stage: Toastmaster Ashis expressed his feelings in a very hilarious manner. He told wearing Dhoti is a dream come true. 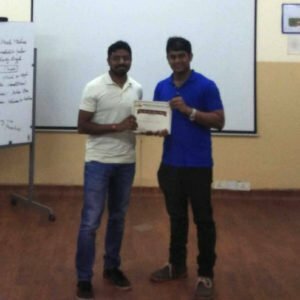 He shared his experience about a marriage ceremony he attended in South India. He found that everyone had worn it. It is easy to wear and looks good. It is comfortable and cool. He can dance as well as run wearing this. 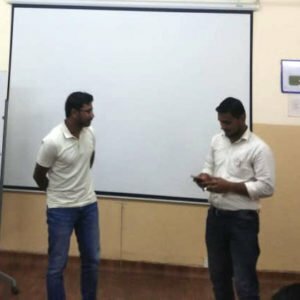 Compare South Indian films with Hollywood movies: Toastmaster Sandeep compared culture, language, clothes, and songs of both, the Tollywood and the Hollywood. He liked South Indian films more. 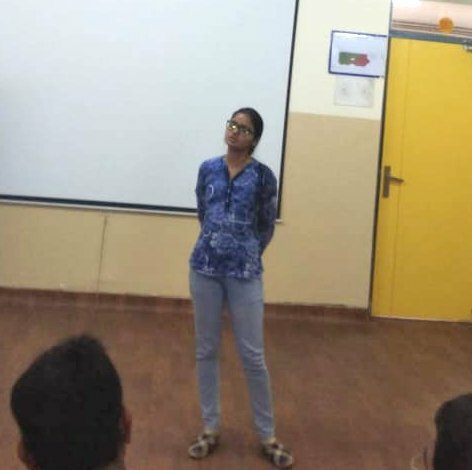 Share your first experience in a new city and its culture: Toastmaster Akansha expressed her surprising experiences which were often mounted with suspense. 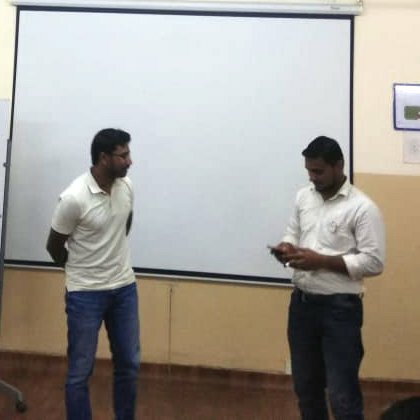 With these fruitful points coming across the audience, session came to an end. It taught us all that unity and strength of a country are due to cultural diversity.